HomeMusic VideosNEWS: While She Sleeps “The Guilty Party” Music Video! NEWS: While She Sleeps “The Guilty Party” Music Video! Sheffield Independent Shredders While She Sleeps have released a music video for the recently streamed single “The Guilty Party” that… well, it’s got Ukrainian sub-titles. It’s the third single following “Anti-Social” and “Haunt Me” from their upcoming fourth album “So What?” available via Sleeps Brothers on 1st March. Pre-orders are available here. 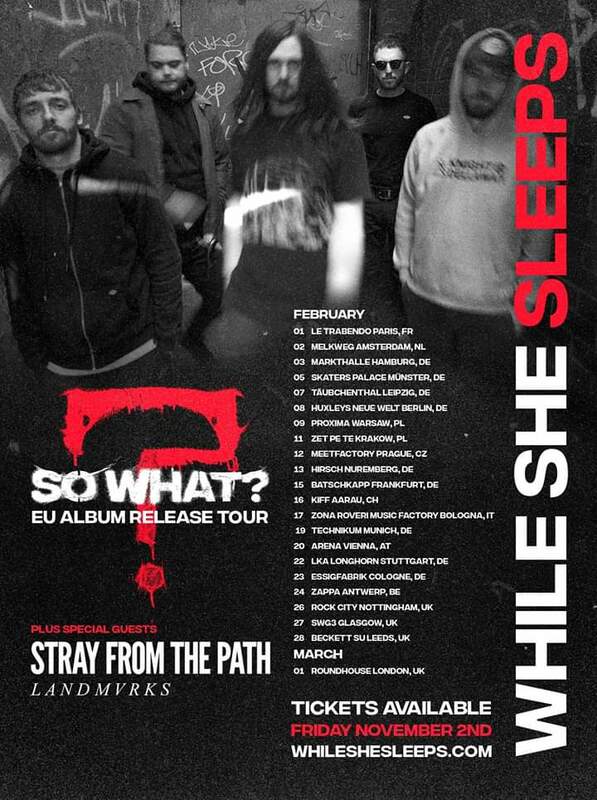 There are 4 UK dates on their current tour starting on 26th February that will see them joined by Trash Boat, Landmvrks and Stray From The Path. NEWS: Until The Dead Walk rise with “WKTS”! NEWS: Devildriver head up “Copperhead Road”! NEWS: Skinlab release “End Of Silence” single!